How do you make a quality antibody? Is it important to understand the end use application when considering antigen strategy? What types of antigen can be used for antibody development? What are the advantages of peptide antigens for antibody development? Why do some peptide antibodies fail to bind to native protein? If we make the antibody against a peptide with just one phosphoresidue, is it likely to still recognize the protein when it's phosphorylated at both sites? Can I test the antisera in a Western Blot using the peptide antigen as a positive control? How much purified pAbs or antisera will I receive with a standard package? Can I get more antisera or purified antibodies? What is the difference between Protein A/G purified and antigen affinity purified antibodies? When I have a mAb or pAb, what kind of purification method should I choose? Are the final antibodies purified from the antisera pooled together from the two animals? Can I have them purified separately? 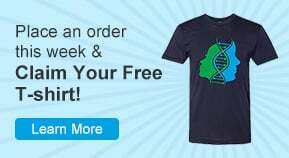 If I do not order test bleed, do you normally do an ELISA on bleeds after the 2nd, 3rd, and 4th immunization? Or do you just do an ELISA after the last immunization? Why there is no affinity purification service for mouse pAb package? Do you charge any fee if you fail to deliver pAb at your guaranteed titer? I need ready-to-use monoclonal antibodies. Should I choose roller bottle culture or ascites production? Does GenScript offer any guarantees for your customized monoclonal antibody service? Do you offer endotoxin removal service after antibody production? What is your standard (EU/mg)? Do you provide cell storage with GenScript after the cell lines are delivered to me? A: A quality antibody is one that has the appropriate sensitivity and specificity to be able to answer the question asked by your assay. Also, one antibody will not necessarily work in all applications because each application has different performance specifications. Western Blots recognize denatured, linearized proteins, while flow cytometry, sandwich ELISA, IF, and functional assays require antibodies that recognize the natural, folded shape of the protein. When you begin your search keep in mind your basic criteria: which application is your top priority? Is a polyclonal or monoclonal antibody better suited? Where is your protein or epitope of interest located? Is the epitope unique or common, linear or conformational, buried or surface exposed? Is it subject to post translational modification? Being clear on the answers to such questions will help us conduct your antibody search more objectively. This is a complex topic and responsibility lies with both the customer and with GenScript. To make a successful antibody, GenScript first considers how the antibody will work in your assay, followed by antigen strategy, immunization strategy, screening strategy, purification and validation. Our scientists work with you to understand your needs to develop a quality antibody to work in your research. A: Yes, it is very important to consider which assay your antibody will be used in. Not all antibodies work in all applications. Western Blots recognize denatured proteins, while flow cytometry, sandwich ELISA, IF and other functional assays require antibodies that will recognize the natural, folded shape of the protein. A good understanding of your needs, along with antigen strategy, immunization strategy, screening strategy, purification and validation can help to make a useful antibody. Each of these categories has different strengths and weaknesses. Synthetic peptide is a popular antigen for antibody development. It can be made quickly and cheaply but may fail to produce useful antibodies especially for immunoassays that display folded protein. They are easy to produce and enable the antibody to be targeted with good specificity to small regions of the protein to either detect mutants or post-translational modifications, such as phosphorylation. Recombinant protein overcomes the limitations of short peptides, but requires more effort and cost to produce. Fragments of proteins are generally easier to produce than a full length protein. Larger proteins also contain more epitopes, which can decrease specificity. Native protein is most likely to produce useful antibodies, but is very difficult to produce in sufficient amounts for antibody production. Whole cells can present membrane proteins (such as GPCRs) in their native state, but can be difficult to produce and require significant screening to isolate specific antibodies. DNA antigen combines the advantages of peptides (cheap and fast to produce) with recombinant protein (multiple folded epitopes). Small molecules and polymers are common components in medicine, food, cosmetics, pesticides, narcotics, and research reagents. They can also be found in the human body and in the environment. Small molecule haptens must be conjugated appropriately to generate an antibody which will bind to native molecules. An anti-idiotype antibody is directed against the antigen binding site of another antibody (i.e. where the antigen binding site is the epitope). There are three hyper-variable regions coincident with antigen binding sites, known as the Complementarity Determining Regions (CDRs). Since the anti-idiotype antibodies target the CDRs' antigen binding sites, the anti-idiotype antibodies may or may not compete with antigen. With these characteristics, anti-idiotype antibodies can be the powerful reagents for vaccine development, pharmacokinetic (PK) studies and immunogenicity (anti-drug antibody) assays. A: Native proteins make excellent antigens and have traditionally been used to raise antibodies for different purposes. However, some proteins are not easy to isolate in sufficient amounts for characterization. Only a small fraction of these potentially useful proteins have been isolated and characterized. This renders most native proteins impractical as a means of generating antibodies. The most logical alternative is to generate antibodies against peptides derived from native protein sequences. In some instances, antibodies against such peptides are even more effective than antibodies against native proteins. Peptide antigen production requires only the amino acid sequence. The protein has not been discovered, but the gene sequence has. The protein has been discovered but has not been fully sequenced. The protein is not available in sufficient quantities. The protein cannot be successfully expressed using recombinant techniques. Peptide antibodies demonstrate enhanced specificity. Eliminates or minimizes potential cross-reactivity between structurally homologous proteins. Enables the production of antibodies to the targeted epitope. Enables the production of antibodies for proteins with post-translational modifications. Good discrimination between two or more isoforms of a protein. Peptide affinity purification is convenient and cost-effective. Enables highly efficient, relatively inexpensive immunoaffinity purification. Enables production of high purity, monospecific antibodies to the targeted epitope by cross-adsorption with similar peptides. A: The structural state of the native protein contains both linear and conformational epitopes, while peptides most likely have a linear structure. The selection of the amino acid sequence of the peptide to be used as immunogen is a crucial step toward the success of such a strategy. In fact, no one can predict, a priori, whether or not antibodies raised against specific peptide sequences will be able to efficiently recognize the intact protein from which the peptide sequence was originally selected. Nevertheless, it is possible to exploit certain parameters based on hydrophilicity, accessibility, and flexibility, as well as consideration of T-cell epitopes to judge the possible immunogenic power of a given peptide. This approach aims to increase the possibility that anti-peptide antibodies will recognize the complete and often native conformation of the protein. We will assist our customers with the selection of the best candidate peptide sequences to be used as immunogens via our proprietary OptimumAntigen™ design tool. Specific sequences will be proposed to our customers and submitted for their approval prior to the start of the chemical synthesis. In addition, in some cases the use of more than one peptide from a given protein chain is recommended to increase the success rate of native protein binding. Our fastest turnaround time polyclonal packages, PolyExpress™ Silver and Gold, (linker: /polyexpress.html ) have been designed to address this need in that 2 or more peptides serve as epitopes, leading to very high success rates. A: Yes, a single phospho-peptide antibody may recognize the protein when it's phosphorylated at both sites. But a dual phospho-peptide antibody may also recognize the protein when it's phosphorylated at only one site. Thus, it is very difficult (even impossible) to develop an antibody which only recognizes the protein when it's phosphorylated at both sites and doesn't bind when only one site is phosphorylated. A: The molecular weight (MW) of the peptide antigen (unconjugated) is too small to be applied in traditional Western Blot (WB) tests. To validate the specificity of the target band in WB, we suggest running an "antibody blocking"" control, where you use the peptide antigen to block the primary antibody. The recommended dilution of the bleeds is 1:1000 (equal to 1ug/ml) and the blocking peptide approximately 2 µg/ml. " A: It depends on the host species you chose. For rabbits, you can get 1~5mg purified pAb (SC1180), 10~50mg purified pAb (SC1031) or 100~120ml antisera (SC1030). You can check for other host species here. To get more antisera, you can choose an extended protocol which comes with an extra charge. For this option, you must supply more antigen. A: In simple terms, the affinity purification isolates peptide specific antibodies while protein A/G (Protein A or Protein G) purification purifies the total immunoglobin (Ig) from the serum. Therefore, the protein A/G purified antibody contains both antigen-specific antibody and also endogenous Ig of the host animal, which may not be specific to the antigen. Usually for mAb purification, since the antibody is generated by a hybridoma, which produces antibody from one B cell, the concentration of specific antibody is very high, so protein A/G purification will be fine. For pAb purification, since the collected antiserum contains about 10% specific antibody and about 90% total Ig from the serum, antigen affinity purification is recommended. A: Yes, the antisera will be pooled together for purification unless specified otherwise. You can have them purified separately. The additional package is SC1525. A: We usually do an ELISA test after the 2nd, 3rd and 4th immunization. If you need the report, please let the production team know as early as possible. The report we send to you will reflect a 10-data point titration, but we only run a 5-data point titration for an initial rough evaluation. A: The amount of antisera from 5 mice (0.3-0.5 ml serum per mouse) is not enough for antigen affinity purification. Therefore, only protein A purification for mouse, or protein G purification for rat is provided. If enough antisera is collected (>10 ml) from more mice, antigen affinity purification can be performed. A: For pAb services, we will restart the project free of charge until the guarantees are met. If we still cannot successfully deliver the antibody, we will not charge any setup fee, except in the case of complicated projects which list a setup fee in the proposal. A: Both Polyclonal and Monoclonal antibodies have their own advantages which make them useful for different applications. More tolerant of minor changes in the antigen, e.g., polymorphism, heterogeneity of glycosylation, or slight denaturation, than monoclonal (homogenous) antibodies. Hybridomas provide an immortal cell line with the ability to produce unlimited quantities of highly specific antibodies. Compared to polyclonal antibodies, homogeneity of monoclonal antibodies is very high. If experimental conditions are kept constant, results from monoclonal antibodies will be highly reproducible between experiments. All batches will be identical and specific to just one epitope, which is a particular advantage when manufacturing procedures must be standardized e.g. clinical tests and therapeutic treatments. The high specificity of monoclonal antibodies decreases background noise and cross-reactivity, which helps provide reproducible results, and ensures efficiency in affinity purification. 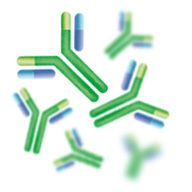 Specific antibody characteristics can be identified and selected. For example, sensitivity requirements and cross-reactivity levels can be specified and monoclonal antibodies screened to identify any cell lines exhibiting the required characteristics. A: If you do not mind native mouse IgG (1-10%) mixed in with the antibody, ascites antibody production is a little faster than roller bottle cell culture. A: For qualified protein antigen, GenScript can guarantee two ELISA and WB positive clones against the immunogen. For qualified peptide antigen, GenScript can guarantee two positive clones with a positive ELISA result against the immunogen. For other conditions, GenScript will provide a guarantee according to the immune response after immunization. A: Yes, GenScript provides this kind of service. EU criterion is ≤3 EU/mg. A: GenScript provides free cell line storage for 6 months from the date of final delivery of the project. After that time, customers who desire that their cells be stored for longer are charged $38 per year/vial. 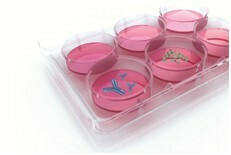 GenScript also can expand the cell line to set up a cell bank for interested customers. The price for this service is $25.